You go to all of the games. You can predict all of the plays. You scream the loudest when your team scores! There is no reason the ultimate fan shouldn’t sit in comfort. 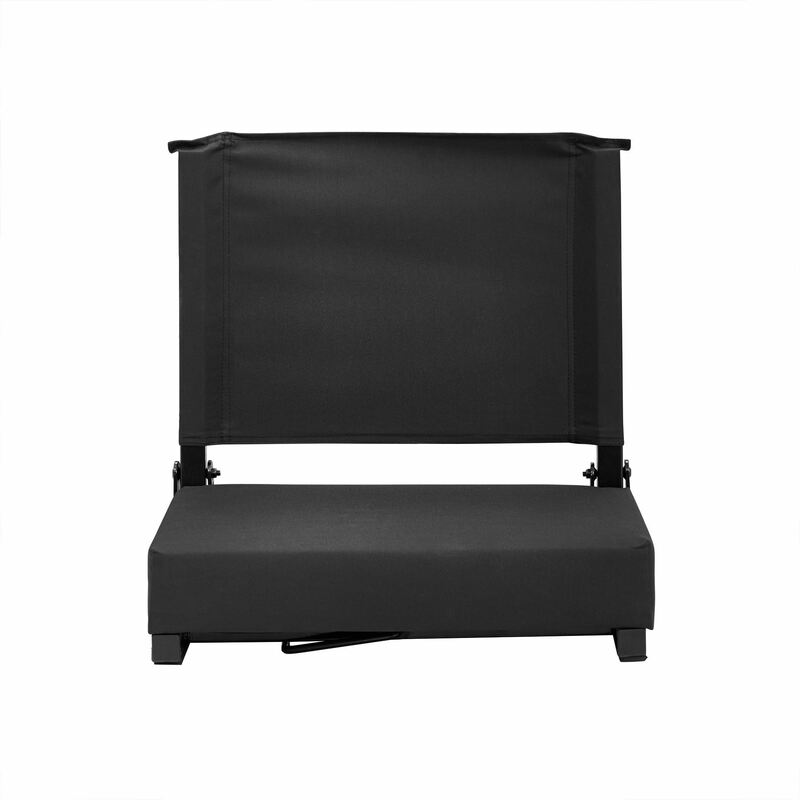 The Naomi Home Bench Riders Stadium Folding Seat should be the first thing you grab when going to the big game. The pad cushioning provides a comfortable seating alternative to those hard metal or wooden benches. The stadium seat folds neatly so you can easily store it in the car. The carry handle makes it easy to carry, while you bring along all of your game watching essentials. Very comfortable cushion and backrest to keep me comfortable while watching my son’s game. It has a strong metal frame which is easy to carry around and fold. The chair is easy to carry and really comfortable. The chair doesn’t slide off the bench when you move around in it. Good delivery and an overall nice product. On time delivery and a very nice, useful product! I ordered a pair of these seats a little less than a month before my niece’s big game and was worried it might not be delivered any sooner. Very surprised when the package came home in just 3 days! Very comfortable stadium chairs with a cushion backrest and sits securely on the bench. We have a stadium seat which we bought years ago at a local store for football games. My husband and I argue over who gets it and often have to take turns. It may seem like a lot of $ to spend but its worth every penny. I got this on clearance sale for just under $20. This is very heavy duty as well. It also has a hook in the front that slides onto the bench so that the seat doesn''t tip over backward. Comfort at the games for this big guy! I used to about worry going to school football games and sitting on benches for long. But not anymore. I am 6''5" and weigh 325 pounds. I purchased and used one of these for the first time last week and it was wonderful. The cushioning and support is just perfect. It is bulkier than most seats but i would look past that considering the comfort it offers. Happy with the product! Love the thick padding. Extremely comfortable. Worth every penny. For a parent with kids in high school and a lot of spectating to do, this product is worth every penny. I have bad discs and I am comparatively a short. I am 5’ 3”. Thanks to thick padding I feel comfy and also get a good view.